rubydorje changed some attributes to Miranda Red Shorts Outfit: File 'Mesh_Textures' description changed. rubydorje changed some attributes to Ashley MiniSkirt: Summary changed. ; Description changed. ; Mod version changed to 2.
rubydorje changed some attributes to Ashley MiniSkirt: File 'DLC_ASH_MiniSkirt_Mod_Blue' changed to 'DLC_ASH_MiniSkirt_Mods_Blue'. rubydorje changed some attributes to Ashley MiniSkirt: File 'DLC_ASH_Mini Skirt Mods' category changed. 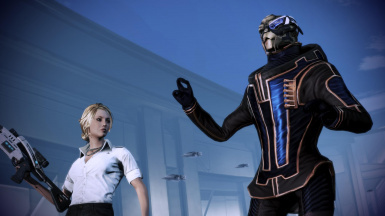 rubydorje changed some attributes to Garrus Funky-Formal Casual: File 'Garrus_Altered_Face_Legs_Mods' changed to 'Garrus_DLC_Altered_Face_Legs_Mods'. rubydorje changed some attributes to Ashley MiniSkirt: File 'ASH_MiniSkirt_Meshes_n_Textures' description changed.